« Drinks to warm your belly! I was browsing Pinterest the other night, and came across this post on Freckled Nest and came across an online Sewing Program. While we prefer to call our program Family and Consumer Sciences (which many people have no idea what that is), this “Home Ec” program that teaches you how to sew can be taken by anyone, and there are 27 projects that they make with you each that teaches different techniques in each… While I have never completed their one line course, it looked pretty interesting… you can read more about it HERE. 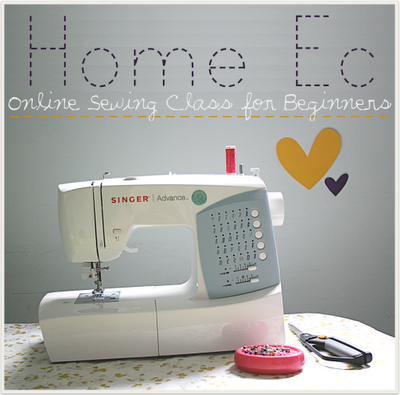 If you decide that you would like to take this sewing course online – I would love to hear your feedback about it. I know that you can take sewing classes at Jo-ann’s, but for those who are always so busy and can hardly find time to eat a meal, and sleep at night, this might be a great on-line sewing class for you! And if you are a 7th grader who is wanting to learn to sew and is not taking the 8th grade FACS classes here at school, this is your opportunity to learn some great techniques, all at your own pace.